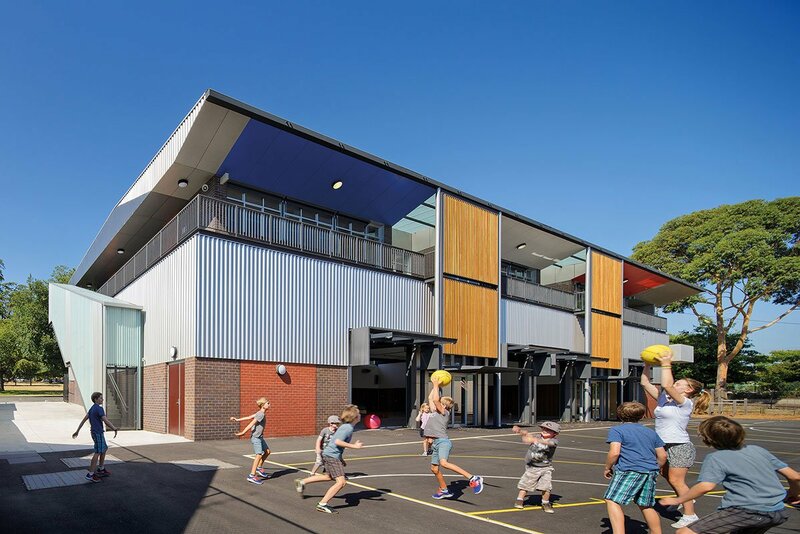 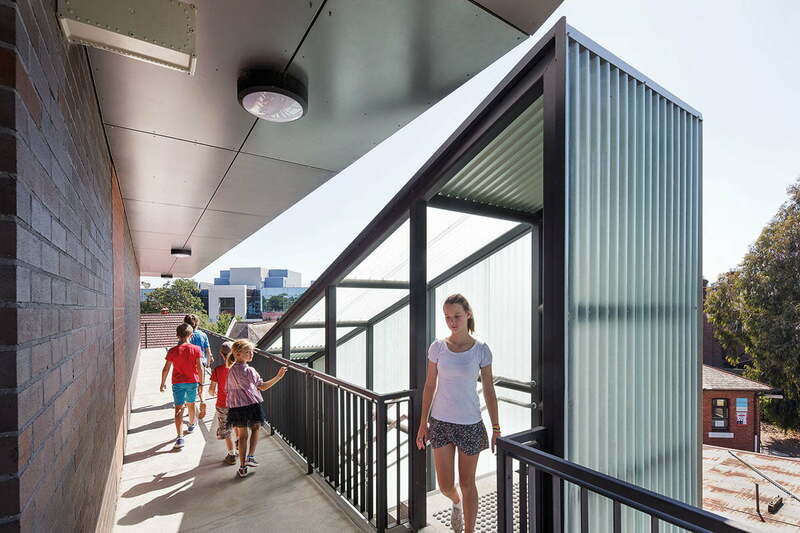 This new building for Camberwell Primary School is the first to be constructed on the site since the original building 140 years ago, and was a federally funded economic stimulus project. 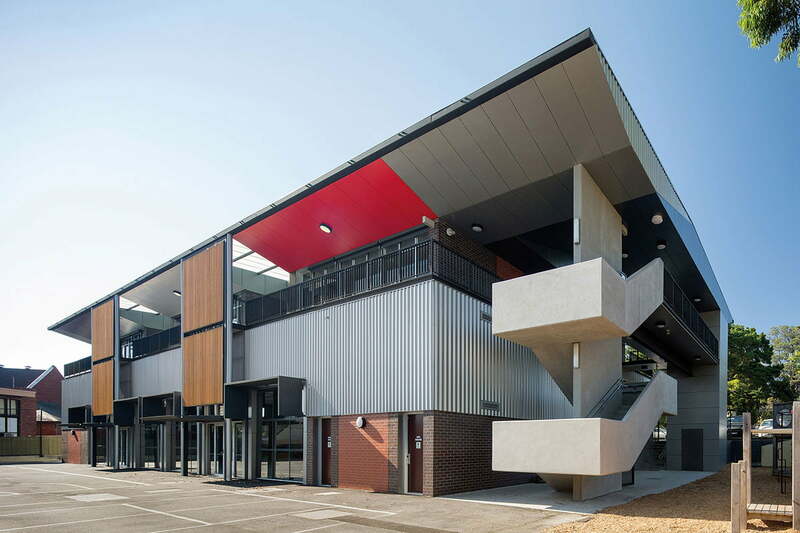 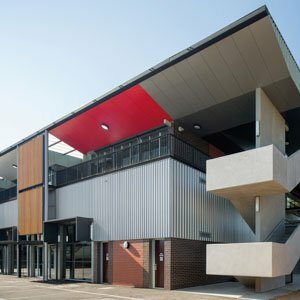 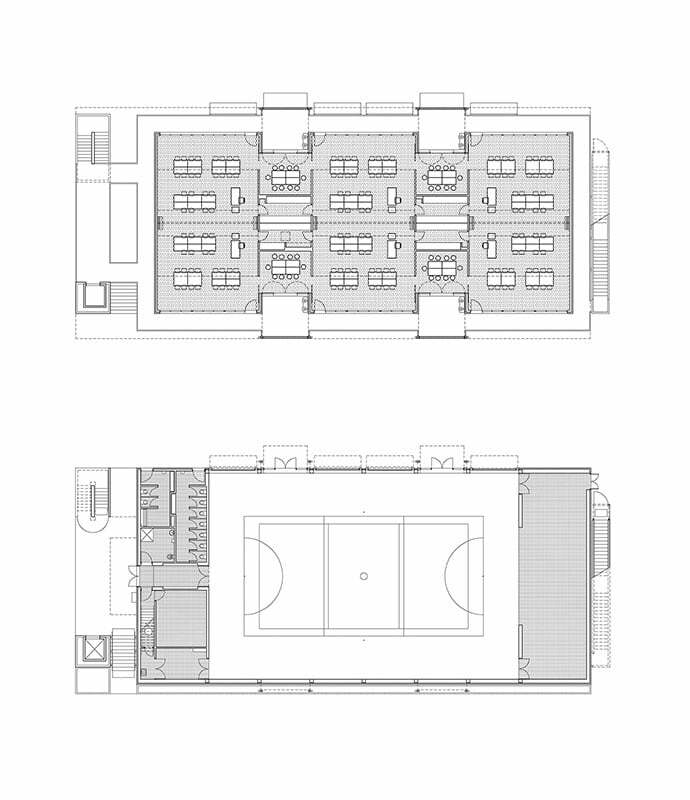 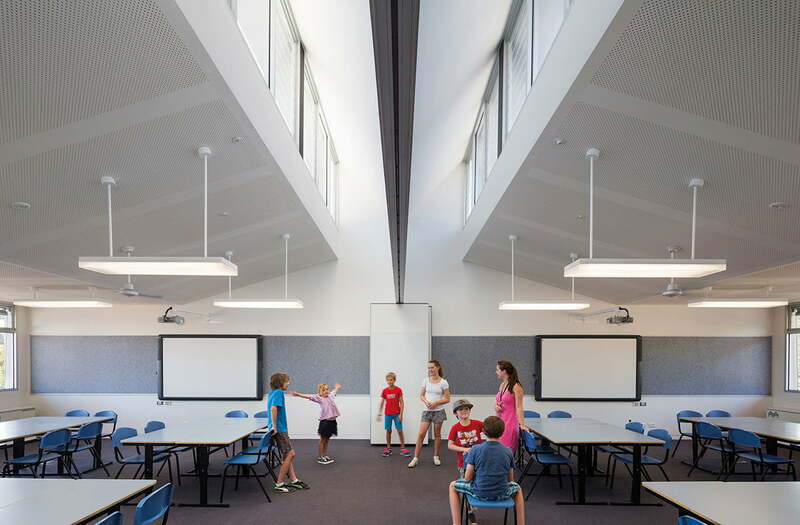 It accommodates six classrooms, replacing existing portables, and four ‘small group learning areas’ above a multi-purpose gymnasium with associated toilets and storage. 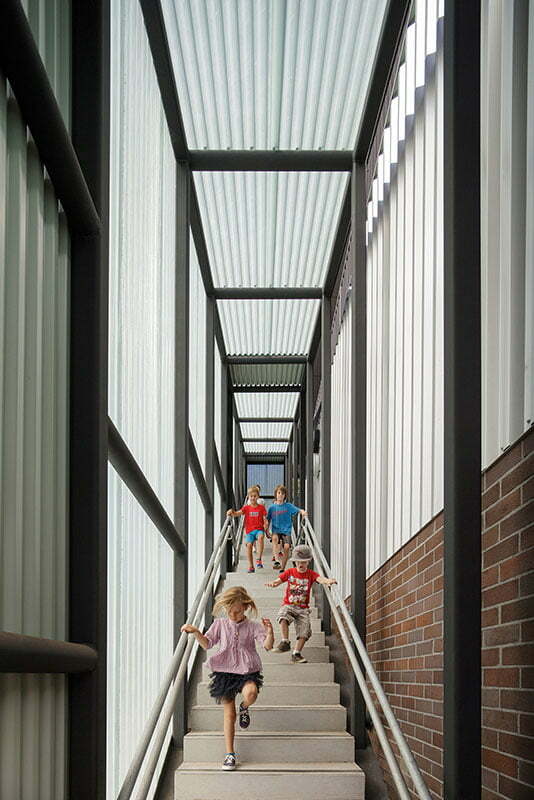 The school runs an immersive bilingual program, in French and English, for which the classrooms are arranged in pairs with operable walls between. 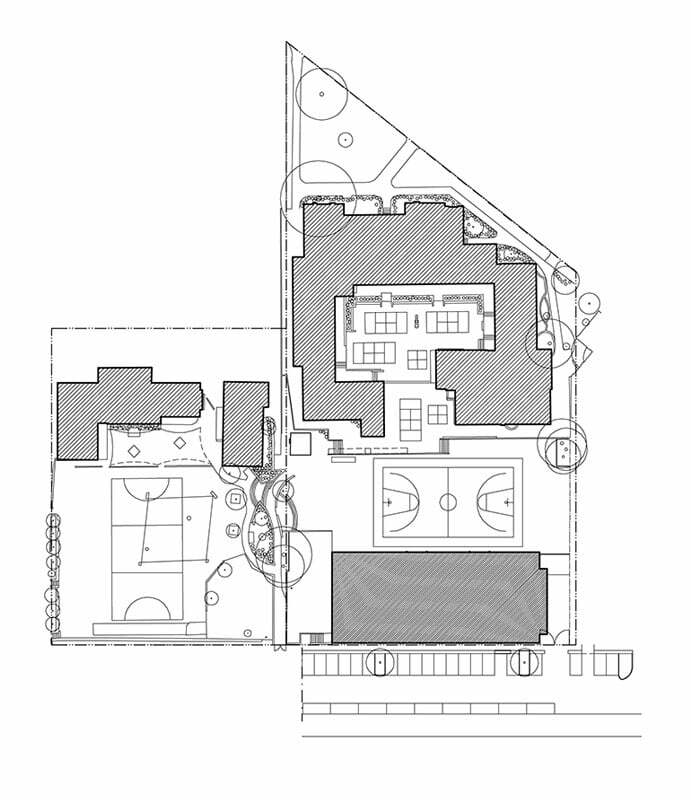 Because the site is constrained and play space is at a premium, the building is located hard up to the southern boundary. 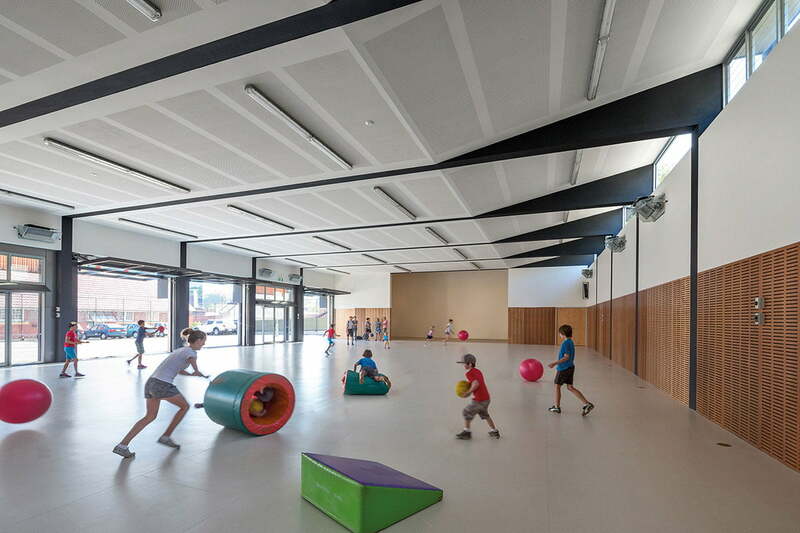 The gymnasium has large glazed tilt doors opening directly onto the hardstand play area which forms a seamless play surface from inside to out and maximises precious open space. 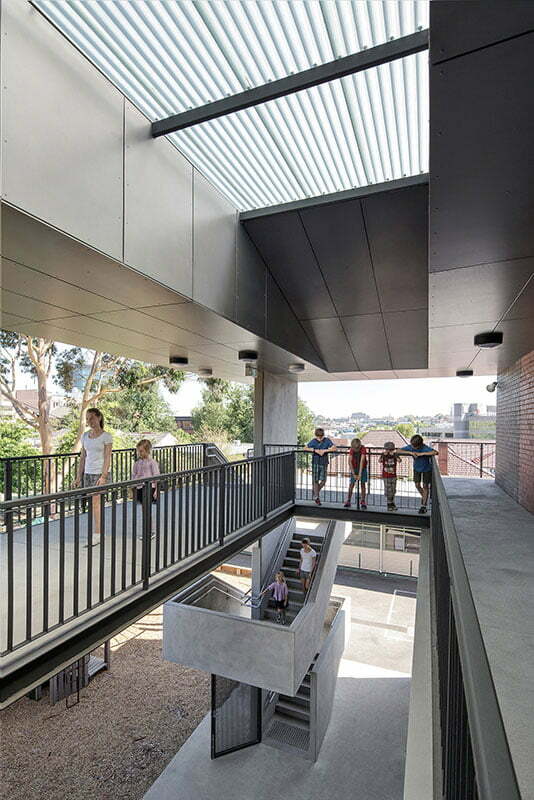 The upper level classrooms, with external circulation, provide excellent views to the surrounding neighbourhood, provide protection from prying eyes on the adjacent public street and allow the paired French and English classrooms to combine into generous communal rooms when required. 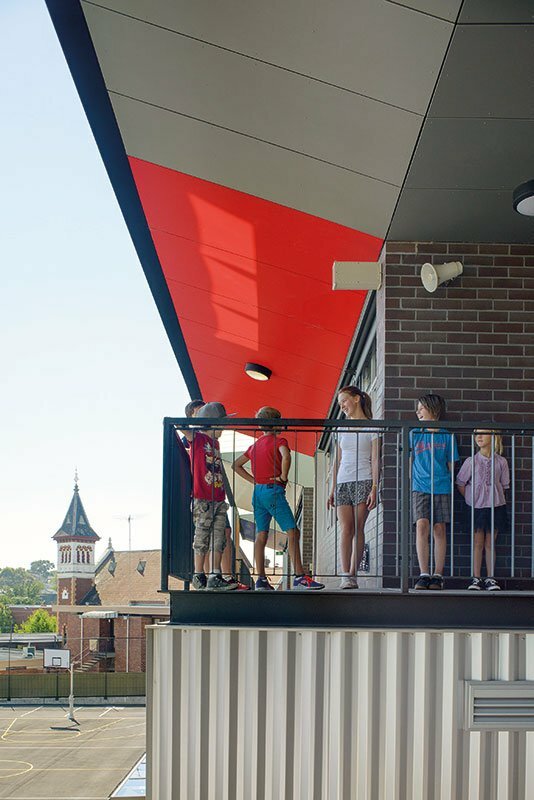 The upper level walkway soffits are in the equal bands of blue, white and red of the famous French Tricoleur flag, set against the neutral to warm colour palette of adjacent materials, including three colours of brickwork echoing the polychrome brick colouration of the original 19th century school building. 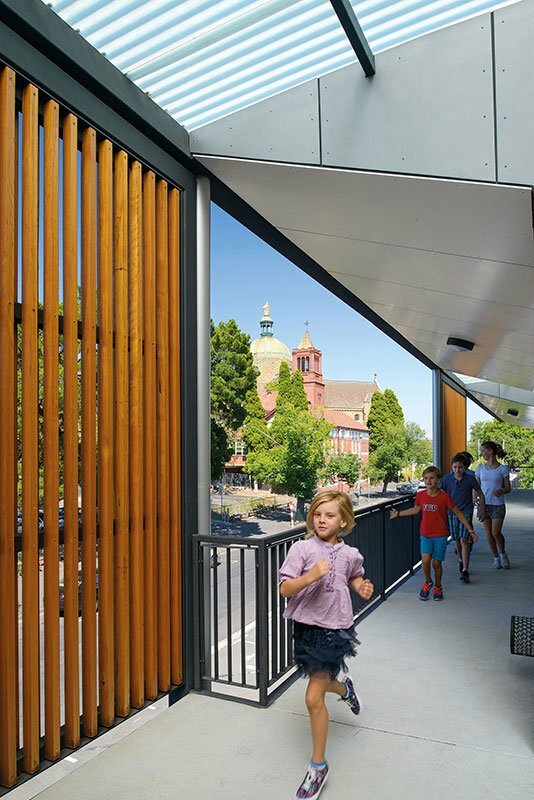 This gesture celebrates the French language culture within the school and embeds this unique period of its history in its own built fabric, a celebration of the diversity possible within the public education system.